New Delhi: The flag of the Musqueam Indian Band will be permanently raised on the University of British Columbia’s Vancouver campus. 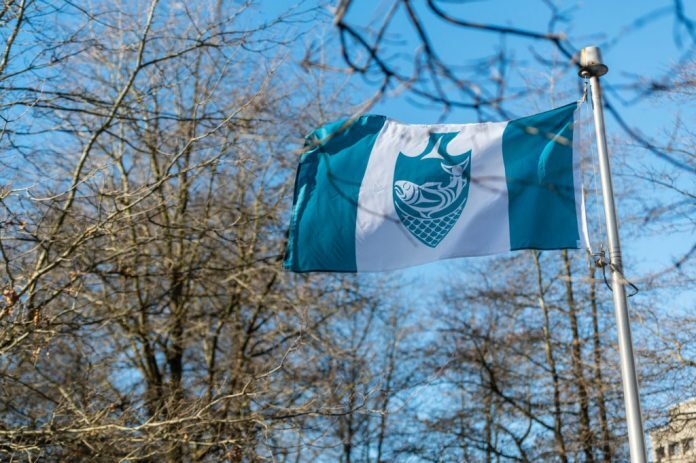 The flag formally signifies UBC’s recognition of Musqueam people in whose traditional, ancestral and unceded lands the university is located. The provincial and UBC flags will fly alongside the Musqueam flag in the SUB North Plaza. “Today’s flag raising reflects our long-term commitment to the Musqueam Indian Band and our vision of solidarity moving forward,” said UBC President and Vice-Chancellor, Professor Santa J. Ono. “Musqueam people have inhabited the same territory for millennia. We are acknowledging this past history but we are also recognizing our present relationship with Musqueam and our responsibilities for future actions with Musqueam and other Indigenous communities in Canada and worldwide,” added Ono. The permanent Musqueam Indian Band flag adds to a growing Musqueam presence on campus. In April 2018, UBC unveiled new bilingual street signs that acknowledged the traditional territory of the Musqueam people. The signs are now on nine major campus streets and supplement English names with names in hən̓q̓əmin̓əm̓, the traditional language of the Musqueam people. A Musqueam welcome pole or qeqən, carved by Musqueam artist Brent Sparrow Jr., was dedicated in April 2016 to mark the hundred-year anniversary of UBC. 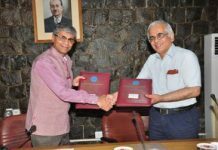 UBC and the Musqueam Indian Band have a long history of partnership, strengthened in recent years with the signing of a historic memorandum of affiliation in 2006 that emphasized the importance of building a long-term relationship. A number of initiatives have resulted in addition to the instillation of bilingual street signs, including the Musqueam Language Program: a sequence of six UBC-accredited courses in hən̓q̓əmin̓əm̓, the traditional Coast Salish language of this territory, co-developed and co-taught by the UBC First Nations & Endangered Languages Program and Musqueam community members. The flag of the Okanagan Nation Alliance was permanently raised at UBC Okanagan in September 2018, to recognize the ongoing partnership between UBC and the Syilx Okanagan Nation.